James Blake’s The Colour in Anything is the musical reminder that we didn’t know we needed. 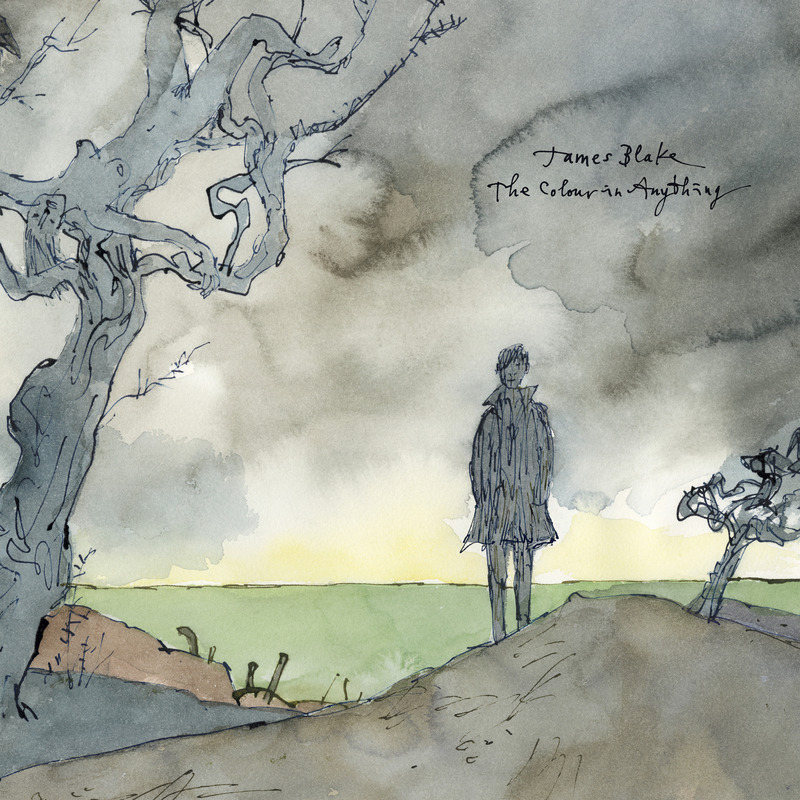 The first thing that comes to mind when thinking about James Blake is dissonance. It’s Blake’s trademark, and he uses it to his advantage. Rarely does he have songs that don’t contain a push and pull in-between notes and chords. He pushes the envelope, creating music based on pure melodic tension. One would assume that would make his music difficult to listen to, but in fact it creates an opposite effect. This is evident in much of his older works and remains the same with his most recent release, The Colour in Anything (May 6, 2016 via 1-800 Dinosaur / Polydor Records). 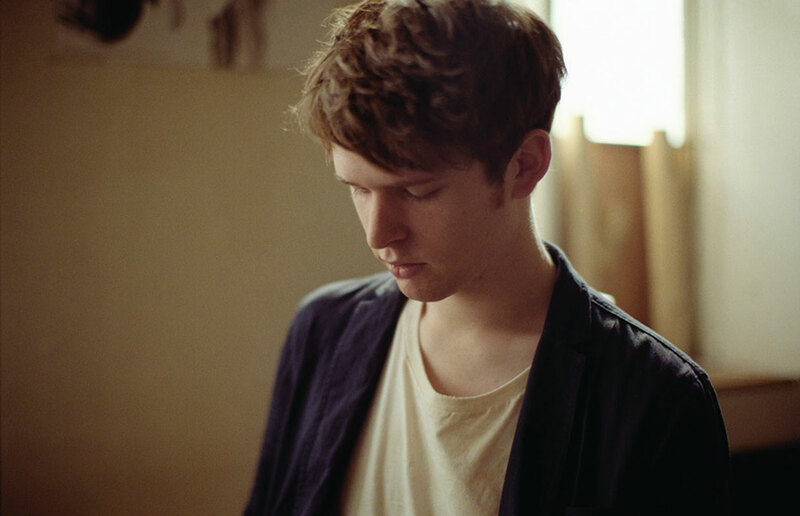 James Blake is known for layering gorgeous harmonies over one simple melody. This creates a mood of tranquility; his music is made for sitting and reflecting and focusing all your attention to your sense of hearing. It’s a beautiful trip through which you can find yourself being more centered and attuned with your body. Blake is one of few modern artists to achieve this for the audience, and it helps to set him apart from everyone else. It’s truly a spiritual journey when one sits down and fully beholds his work. Anything is a body of work that is heavy with emotion and synthesizers to match. The use of synths was very popular in the eighties and usually is a reminder of the cheesiest types of music, however Blake cleverly avoids the cheesiness and uses the sound to his advantage. The production on this album is closely related to that of earlier works such as 2013’s Overgrown, but there is a higher level of maturity that can be heard around this time. This was most likely achieved with the help of Frank Ocean, who co-wrote the album, and Rick Rubin, who co-produced. Blake received international recognition for his 2013 release, which garnered him a Grammy nomination in 2014 for “Best New Artist” and a nod for “British Male Solo Artist” at the 2014 BRIT Awards. The album begins with the beautiful lead single “Radio Silence.” It’s a dark and brooding confessional as Blake begs for more time with a lost connection. Much of the album follows suit with this same theme – of loss; of loneliness; of brooding. It’s a calm introduction to the record that creates the perfect gateway into the following track “Points”. It begins simply, with Blake repeatedly stating “the sad thing is, you’re no longer here”. This statement then evolves into a chant as the listener dives what seems as headfirst into the type of music Blake is known for. This is where his trademark erratic and chaotic style of production begins. It may come off as a shock to the listener at first glance but the constant synthesized sounds act as a trance and you are left hypnotized by the music. The layout of the album is very clever; once the chaos of “Points” ends, we are brought back to the calm and haunting beauty that was “Radio Silence” in “Love Me in Whatever Way”. It continues the hypnotic element that began in the previous track with a constant bassline that gradually gets louder. This song is a tribute to a lover; Blake sings “tell me where I need to go and love me there”. Here is where he taps into the concept of being so attached to someone that you will follow their every will just to be loved back. He manages to do this without sounding desperate and clingy; just simply expressing the gripping effect love can have on a person. Anything relies heavily on key changes from major to minor chords that invoke a range of emotions in the listener. A track that separates itself from the rest is “F.O.R.E.V.E.R.” It’s a typical piano ballad that changes key constantly, and stays in a dark mood as Blake poetically reflects on the flaws around us, but reaches a solid point in its ending statement and resolves back to a major chord. The changes cause listeners to release the breath they may have not even realized they were holding. Blake then joins forces with Bon Iver on “I Need a Forest Fire” to create a beautiful piece that layers both voices throughout. Though Blake is mildly understated, his vocal ability shines through on certain tracks, a reminder that he is no amateur. He effortlessly reaches a bass range and smoothly transitions into an upper tenor croon throughout the record. There are a few tracks that are harder to listen to than others and do require a certain taste. This is expected as James Blake is known for fully releasing his range of creativity and some of the pieces may not resound with certain people. He is an artist that relies on abnormal rhythm patterns, harmonies, and production that includes what sounds like a million different noises. Some might generally classify it as noise but the key to enjoying Blake’s music involves focus and listening with intent. It’s not meant to be instantly understood. The listener must look underneath the surface to uncover the hidden beauty. Specifically, “I Hope My Life” is a whirlwind of a song; Blake explores self-doubt and worry throughout it. He reflects this in the production of the track as well, making use of a chaotic melody that is similar to those used in movies when trying to express a moment of stress or hurry. The fourteenth track “Two Men Down” contains unexpected key changes, numerous sounds, and a haunting chorus that when comes together, can be hard for the listener to fully take in. “Choose Me” is a strange one to behold also as it switches from the echoey sounds of a choir to a smooth Blake croon along with other statements that sound as if coming from the distance. It leaves the listener in an atmosphere where one feels lost and trying to find their way. The emotions invoked by this album are not always positive and that’s what gives Anything its depth. It’s another part of the physical journey that is a part of this album. James Blake’s growing maturity is apparent in his latest project; The Colour in Anything showcases a side of Blake that we aren’t used to. He exposes his vulnerability and his heart to the listener. It’s a very personal album that any person can find sections to relate to. Blake infuses electro-pop and R&B in a masterful way and continues to bring something new to music today. The widespread thought is that music is supposed to always make sense but Blake as an artist proves that statement wrong. He proves that beauty can be found in the strangest places. Just a girl who likes to do cool stuff while switching between homes in Toronto and Ottawa in the Great Up North. I'm also someone who religiously listens to hip hop, R&B, jazz and every genre between them. Not really sure who I am yet, but music helps me figure out the bits and pieces.